Splitboarding is a great way to access the backcountry on a snowboard. You can comfortably skin up incredible peaks and reach untouched terrain faster. We can show you the best access to the endless backcountry with its countless touring possibilities – no matter if you’ve never been on a splitboard before or whether you’re a die-hard pro. 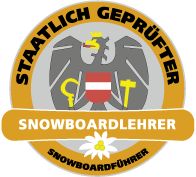 Don’t own a splitboard? We can assist you and organize a rental. With great practical tips and tricks you will feel comfortable on your splitboard within no time. Great adventures awaits the physically stronger and technically more experienced rider. The endless backcountry possibilities in the alps, offer many great options to hike mountains and enjoy breathtaking runs. Beginner to advanced splitboard tours.